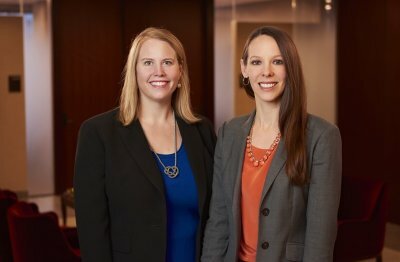 We are pleased to announce that Caroline A. Simonson and Sarah E. Doerr have been elected shareholders of the firm. Caroline is a member of the firm’s real estate team representing landlords, tenants, and lenders on a wide range of leasing and financing transactions. Her areas of counsel include drafting and negotiating lease documents, real estate agreements, and loan documents; conducting real estate due diligence; analyzing and resolving title and survey issues; negotiating title insurance coverage; and closing lending transactions. Sarah is a member of the firm’s creditors’ remedies and bankruptcy team. She has experience in both individual and commercial bankruptcy matters and represents secured and unsecured creditors, as well as debtors. Sarah also defends debt buyers and debt collection agencies in connection with Fair Debt Collection Practices Act and Fair Credit Reporting Act claims. She has been listed in Minnesota Super Lawyers “Rising Stars” from 2012 to the present. Congratulations to Caroline and Sarah! © 2019 Moss & Barnett, A Professional Association. All rights reserved.